Read the history of many of our boxing champions and you’ll read the story of impossibly tough childhood. Poverty and early violence, combined with grueling manual labor, can make a body strong. These conditions will also destroy most spirits. Rarely does one escape the physical, emotional, spiritual, and even legal risks of abject poverty. Even more rarely does one escape to find real success in any arena. John Morrissey endured to find great success in prizefighting, gambling, and politics. He became that rarest of the boxing world, one who was able to translate the fame of the ring into subsequent successful careers. As a ring pugilist Morrissey lacked finesse and boxing fundamentals. What he had was what 19th century fans called "bottom." He had spent his youth fighting toughs in the Albany/Troy, New York, area under any conditions, establishing a reputation by his late teenage years as the best fighting man in the area. He took this reputation to New York City where he fought rivals constantly (particularly Native American (1), Irish-hating gang members). In one such fight, against a local tough named Tom McCann, Morrissey was having the worst of a battle at an indoor pistol gallery under the St. Charles Hotel. He was pinned on his back over burning coals from a stove that had been overturned. As a cloud of steam and smoke and the smell of burning flesh arose from Morrissey the crowd expected Morrissey to call "Enough!" Instead he endured the pain without a whimper. He somehow bucked and struggled his way to his feet and beat McCann insensible, earning in the process his lifelong nickname – Old Smoke. It was this ability to endure pain and actually gain strength and resolve ("bottom") that distinguished all of Morrissey’s ring battles, and, in fact, all of his life’s struggles. Thompson probably decided a quick end of the fight was preferable to a quick end to him. Thus Morrissey captured the California crown, national fame, and dramatically increased business at the modest gambling business he had begun in San Francisco. Morrissey returned to New York in 1852, still pursuing Tom Hyer, who hated training, loved drink and women, and would fight only for a purse far larger than Morrissey and his backers could raise. With Hyer unwilling to engage him, except with pistols, Morrissey turned his attention to the former champion, Yankee Sullivan, a skilled and experienced prizefighter whose only career loss had been to Hyer. This fight between the 22 year-old Morrissey (6’, 175lbs.) and the 40 year-old Sullivan (5’9, 154 lbs.) would have never occurred in modern boxing. Because of his youth and size Morrissey was the favorite at fight time, on October 12, 1853, at Boston Corners, an obscure, rural location located on the border of Massachusetts and New York (to limit the risk of interference by police authorities). Favored or not Morrissey was horribly abused by the experienced Sullivan for 37 rounds. Sullivan would use his fighting skills to unleash terrific, accurate blows on Morrissey’s body and head. When threatened with a counter-attack Sullivan would drop to the ground, taking advantage of the London Prize Fighting Rules used at the time. These "drops" would end a round. As rounds progressed Sullivan, "cool and calculating, went at his man determinedly, pecking, slashing, hammering, connecting three times to his opponent’s one." Morrissey kept on coming but soon "exhibited the most revolting appearance imaginable..his eye was dreadfully swollen and the blood was flowing in a perfect stream from each nostril." In the 34th round Morrissey took a dozen blows without a return. Odds quickly changed from the original two to one for Morrissey to two to one for Sullivan. A crowd of over three thousand began to wonder if the young warrior could last. In round 37 Sullivan seemed to have complete command. Morrissey was "fading rapidly. His knees shook, and his hands were down and his mind bewildered." Sullivan stepped back after battering his man, probably to rest momentarily. Morrissey, however, pursued him, wrapped him against the ropes and proceeded to choke him. According to London Prize Fighting Rules this was legal! Fearing his warrior might lose or die, a Sullivan loyalist entered the ring and knocked Morrissey down. This, according to any rules, was a foul. Sullivan then struck Morrissey, who was still on his knees, a 2nd foul. After that a Morrissey backer entered the fray and all hell broke loose. The referee tried in vain to restore order. He called the combatants to the scratch line to renew the official battle. Morrissey responded. Sullivan was too consumed with an engagement with Morrissey’s Second, Awful Gardner (that was his legal name. Gardner, years later, left the sporting world and became a Christian evangelist of some note) to return to "scratch." Morrissey was awarded the victory, and with it the title belt of Champion of America. 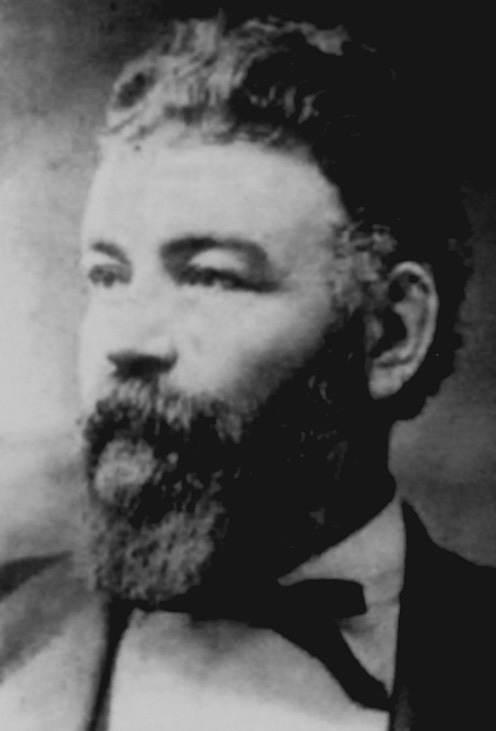 John Morrissey was now one of the most famous men in America. He used that fame to advance his growing gambling business investments in New York City. In the succeeding years Morrissey also became deeply involved with Tammany Hall Democracy in the City. His popularity, particularly among the growing number of Irish immigrants, as well as his leadership abilities at defending polling places from opposition violence during elections earned him the trust and protection of many of the New York’s most powerful politicians. In 1855 Morrissey’s hostile relationships with Native American gangs, including a group that included Tom Hyer, led to a series of confrontations with one Bill "Butcher Bill" Poole. Threats, with and without weapons, finally reached violent explosion when Morrissey agreed to meet Poole in fistfight in the early morning hours on the waterfront. It was foolhardy for Morrissey to engage Poole on what was his "home turf." No sooner had they engaged in their violent brawl than the crowd of Poole supporters pressed in on the combatants. Morrissey and Poole wrestled to the ground where they pummeled, gouged and bit each other. With Poole on top and the crowd pressed in on all sides, Morrissey was doomed. Finally, lacking even air to breathe, Morrissey surrendered – a loss of honor he would not soon forget. The conflict between the two and their factions continued. Finally, on the evening of February 25, after another threat-filled exchange between Morrissey and Poole, several of Morrissey’s acquaintances sought out Poole, engaged him in a confrontation and shot him fatally. Poole’s death became a major rallying cry for Native American’s throughout the nation. A crowd estimated at 20,000 paraded along his funeral route and substantial violence, aimed mostly at New York City’s Irish ensued. Morrissey was indicted as a conspirator in Poole’s death but never was called to trial (benefiting from many carefully nurtured political connections). Morrissey was recently married at the time of his conflicts with Poole. His wife, Susan, was an well-educated daughter of a Hudson River steamboat captain. She would constantly prod and direct her husband to personal growth and social acceptance. The birth of their son, John, added to Morrissey’s determination to leave his violent and tainted past behind. He and his family returned to Troy to escape the temptations and ghosts of New York. His business activities in Troy, however, were disappointing, as was the lack of excitement and social acceptance, and calls for him to defend his boxing title were growing more compelling. He understood Suzie’s objections about everything undesirable about returning to the ring, particularly the "public opprobrium" that went with pugilism. He announced, in 1858, however, that "I shall have to fight to vindicate my character for honor and manhood, and to relieve myself from the persecution and assaults of my foes." Morrissey accepted a challenge from John C. Heenan, the "Benecia Boy." Heenan was tall (6’2"), handsome, strong from swinging a sledgehammer in the Pacific Mail Steamship Company’s Benecia, California, repair works, irresponsible, foul-tempered, and had a reputation from fighting on the tough streets of San Francisco. He, like Morrissey, was raised by an immigrant Irish family in Troy, New York. Heenan, however, was born in America, making him a candidate acceptable to the Native American-dominated New York boxing establishment. (Morrissey, Heenan, and earlier champion Paddy Ryan all grew up in the same small, manufacturing community). Arrangements were made on July 3, 1858, for a title bout to be fought for $5,000 a side. It would be held on October 20, 1858, somewhere in Canada. It’s hard to imagine today, at a time when we have TV, radio, newspaper coverage, magazines, Internet and a constant table full of professional sports, how much enthusiasm a championship fight could generate in the mid-1800’s. Speculation about such an event filled sporting papers and barroom conversation for months. Interest reached fever pitch as Morrissey and Heenan concluded their very serious training. Both lined up trainers who could teach ring tactics while applying the conditioning rules as laid down by the famous Captain Barclay of Great Britain. Morrissey hired Jim Kelly, the Australian champion. Heenan used Aaron Jones, a seasoned English fighter. The fight took place on a forlorn stretch of beach on a peninsula jutting into Lake Erie. It could hardly be reached by land from Canada. It was reached, for the thousands of spectators, by chartered steamer from Buffalo, New York. Morrissey had hacked years of soft living from his frame. He weighed in at 176. He was sighted by sports writers as being in the best physical condition of his life. Others claimed he was "a magnificent animal," and one of the most "splendid specimens of human development we have witnessed." John had learned some boxing skills in training, but his principle weapon still would be his ability to withstand punishment. Heenan was to rely on his superior punching power. Heenan had taken his training more lightly than Morrissey. He still had some "blubber" around his midsection. He was ill with chills and fever at least twice during training. Worst of all he developed a sore on his right leg that seriously impaired his quickness. Rather than risk the ridicule a request for a delay would cause, Heenan forged ahead. Press coverage for this spectacle exceeded anything ever witnessed prior to this bout. Even "respectable" dailies, like the New York Herald, sent emissaries to report. A new record for wagering, estimated at "at least $250,000," accompanied the national, and international enthusiasm. The fight crowd was thus described – "Probably no human eye will ever look upon so much rowdyism, villainy, scoundrelism and boiled-down viciousness, concentrated upon so small a space as was compressed into the few feet of seeing room about the ring of the Morrissey and Heenan fight of October 20, 1858." After all ringside bets were accounted (including Morrissey’s own personal wagers) the fight was on. Morrissey and Heenan seemed to put aside all training skills and settle into a slugfest. Heenan drew "first blood" and punished Morrissey heavily. Morrissey was almost instantly a "spurting claret." During the first round Heenan hit Morrissey so frequently and hard that one observer noted that he would have "knocked out any man in the United States except Morrissey." At the start of Round Two both fighters were blowing hard from fatigue. Morrissey seemed dazed. Heenan, however, had a far more serious problem. During Round One he had hit a ring stake during a wild miss and broke two knuckles on his left hand. In spite of the handicap, Heenan was able to keep Morrissey off him with his longer reach and continued to rain powerful punches on the champion. Morrissey barely made it to "scratch" for Round Three. Round Four saw Heenan showing serious fatigue. Morrissey began to reach him. Both were bleeding heavily as Morrissey threw Heenan to the ground to end the round. Heenan was carried back to his corner. With shaking legs Heenan began Round Five. He had trouble keeping a guard up. Morrissey damaged his head and body with heavy blows. Heenan was completely turned around by a terrible blow. Heenan tried to clench. Morrissey broke free. Heenan caught him with a blow to the jaw that took Morrissey off his feet and down to finish the round. The knockdown seemed to focus Morrissey’s energy. His famous "bottom" began to tell in Round Six. Heenan was growing weaker and showing signs of defeat. Heenan fell from exhaustion in Round Eight. The end was now predictable. It came in Round Eleven. Morrissey dealt Heenan a heavy blow on the neck. Heenan went down on the hard sand where he stayed completely motionless for an uncomfortable length of time. Morrissey was declared the victor and still American Champion. Morrissey would never fight in the prize ring again. He fought numerous exhibitions, including several against Heenan. His record in the ring was perfect, as would be his record as a politician. Morrissey would run twice for United States House of Representatives and twice for New York State Senate, winning every time. Morrissey would also build a gambling empire that was unrivaled in America. He would build progressively more elaborate establishments in New York City, catering to the wealthy and powerful, and making himself exceedingly wealthy in the process. He opened operations in Saratoga for the summer spa season in the 1860’s and opened the world famous Clubhouse in 1870. He began a horseracing course in the late 1860’s and convinced several of his wealthy, horse-loving friends to form the still-existent Saratoga Racetrack a short carriage ride from his Clubhouse (gambling was, of course, not allowed at the track!). Morrissey’s energy and perseverance were matched only by his resourcefulness. In addition to creating splendid, unprecedented gambling destinations for the rich, he took advantage of the development of the telegraph to make betting available to all. He also formed the Saratoga Rowing Association to create a new spectacle for the wealthy to bet upon. He owned a professional baseball team in Troy. His life is filled with marvelous tales of daring, courage, adventure, generosity, honesty, loyalty to friends, love of his wife, and accomplishment in numerous arenas. During his campaign for the New York State Senate in 1877 he became ill. He won that election, against Tammany’s handpicked candidate, in the most affluent election district in New York City. He never took his seat, however. He died at the Adelphi Hotel in Saratoga Springs, at age 47. Thousands lined the streets in the village to get a final look at a man who had occupied center stage, in numerous roles, for more than two decades. The New York State Congress closed on the day of his burial and the entire elected body attended the services in Troy, N.Y. An estimated crowd of 12,000 stood outside the church to pay tribute to an American Champion.